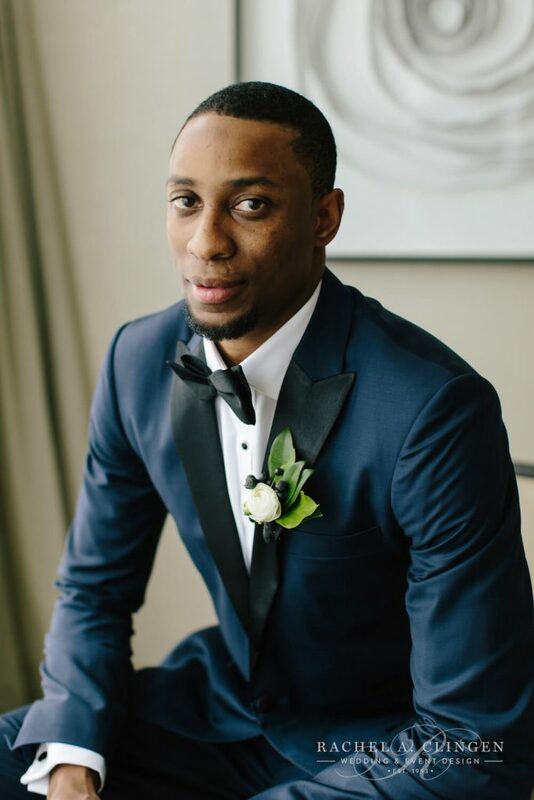 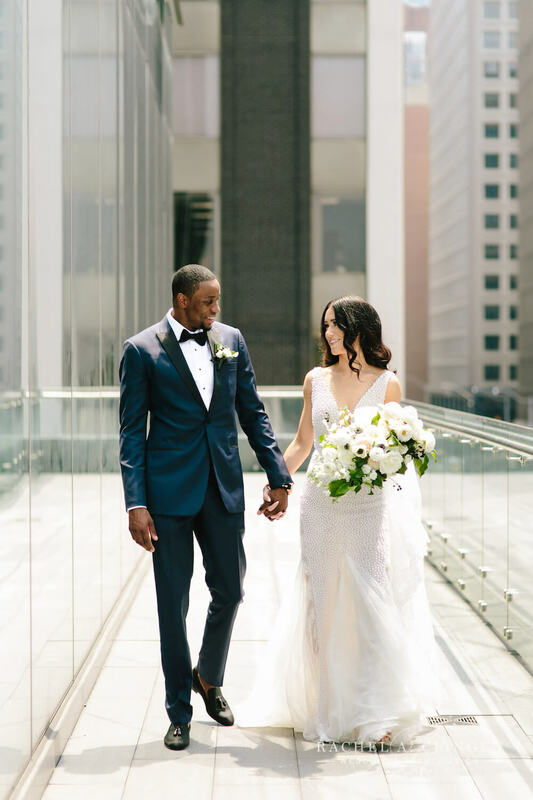 He might spend most of his time on the ice playing hockey for the Philadelphia Flyers, but when it came time to propose to beautiful Crystal, Wayne Simmonds, popped the question mountain top in Vail, Colorado. 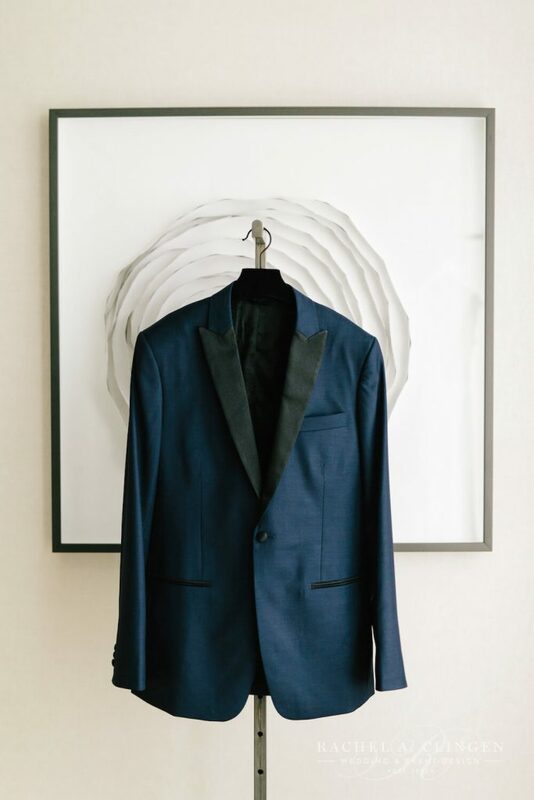 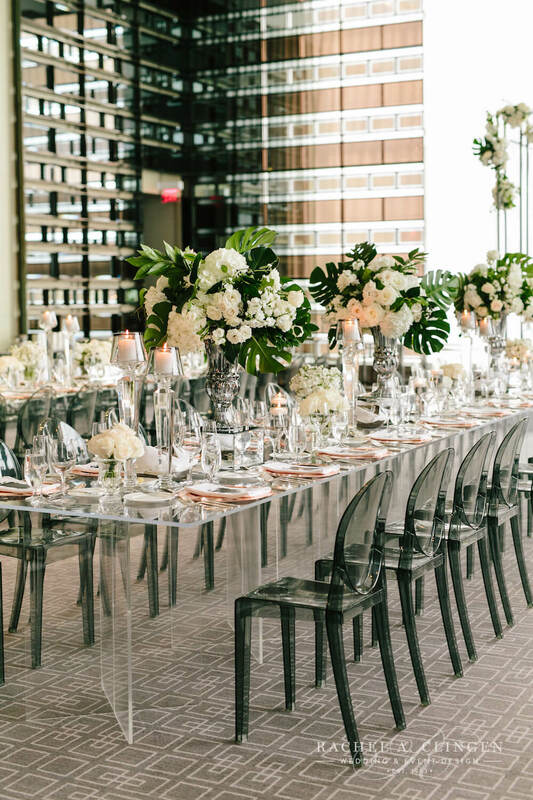 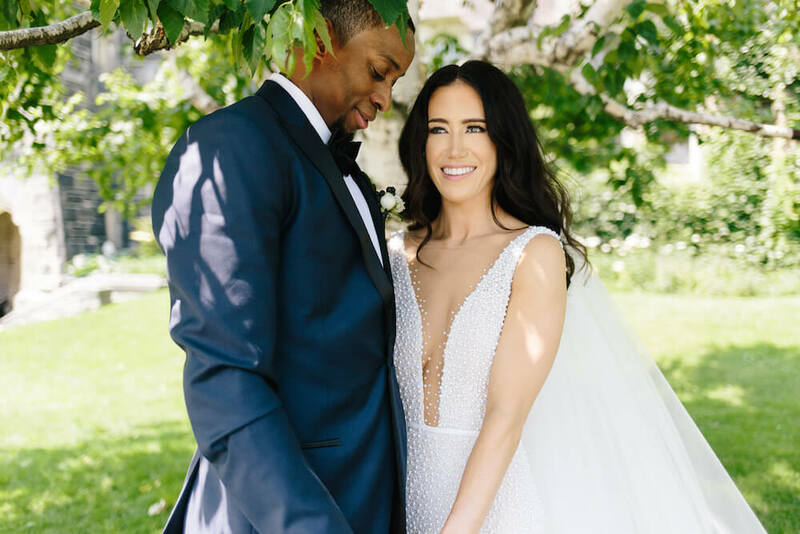 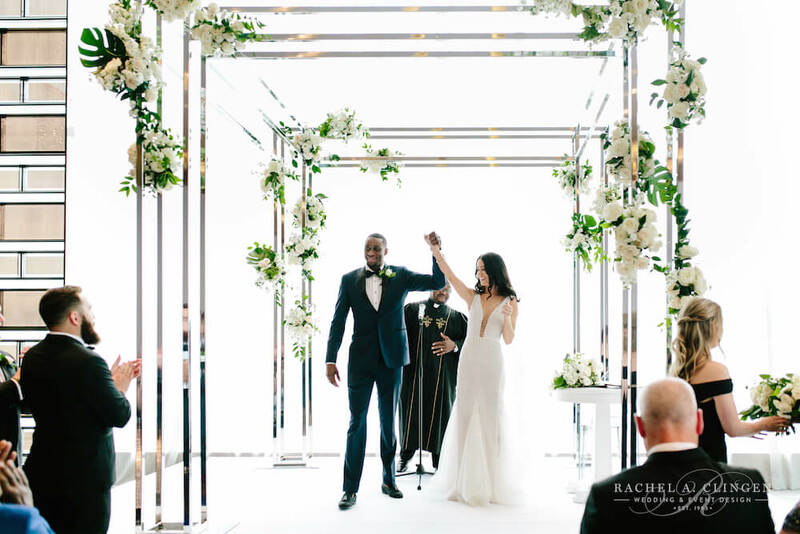 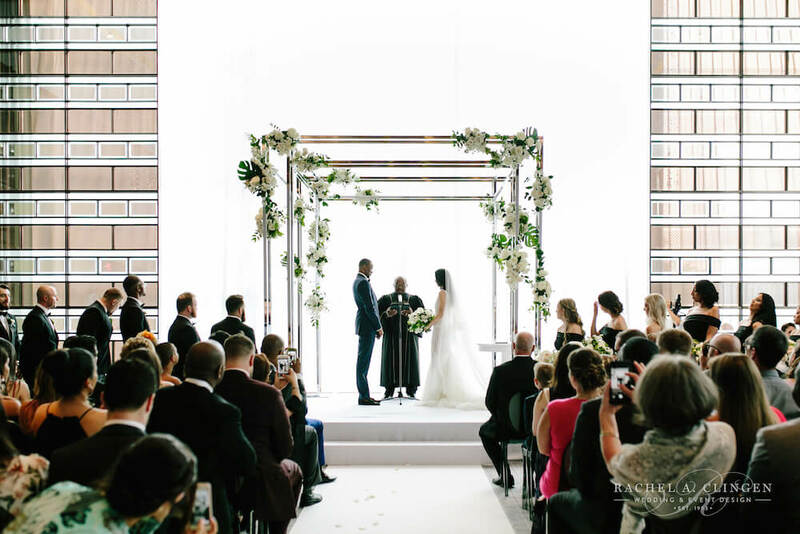 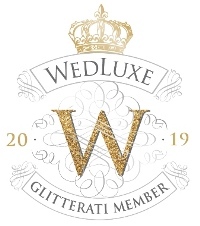 Originally from the Toronto area, the winter sport enthusiasts started planning for their gorgeous wedding at the Four Seasons Hotel in Toronto. 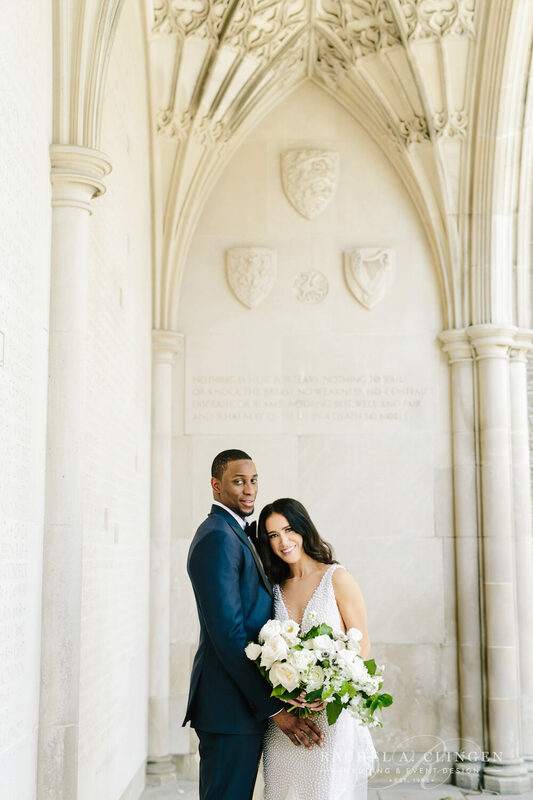 It was such a pleasure working with this inspiring couple and I loved Crystals open-ness to some non-traditional elements. 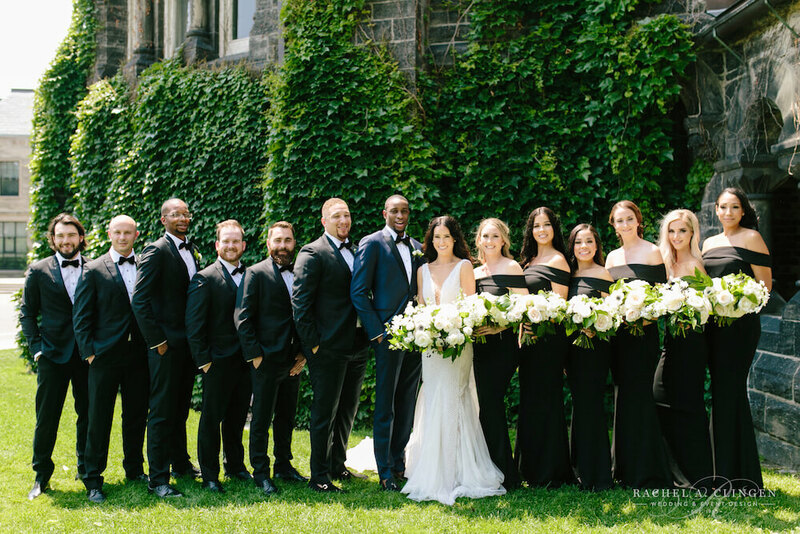 The couple didn’t want an overly traditional wedding, and were open to modern details. 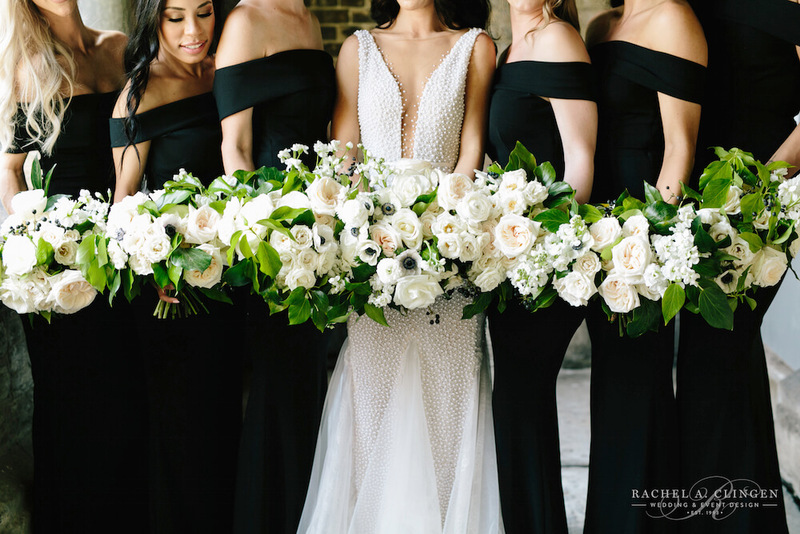 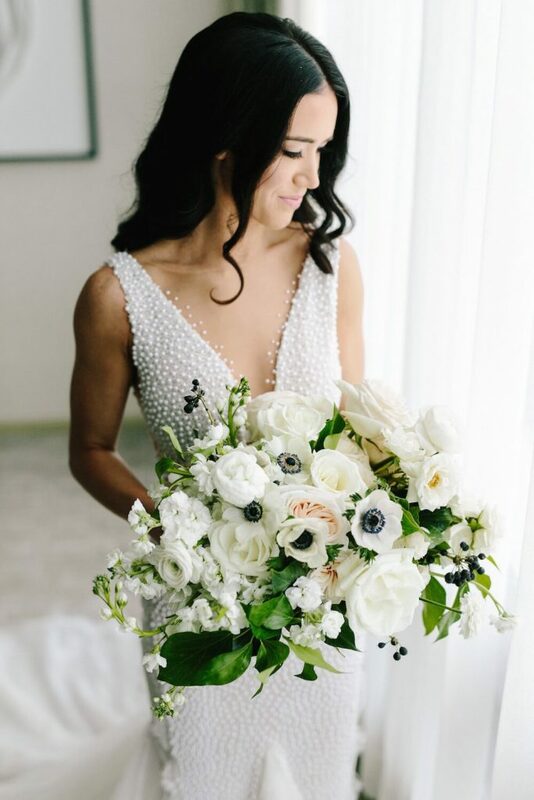 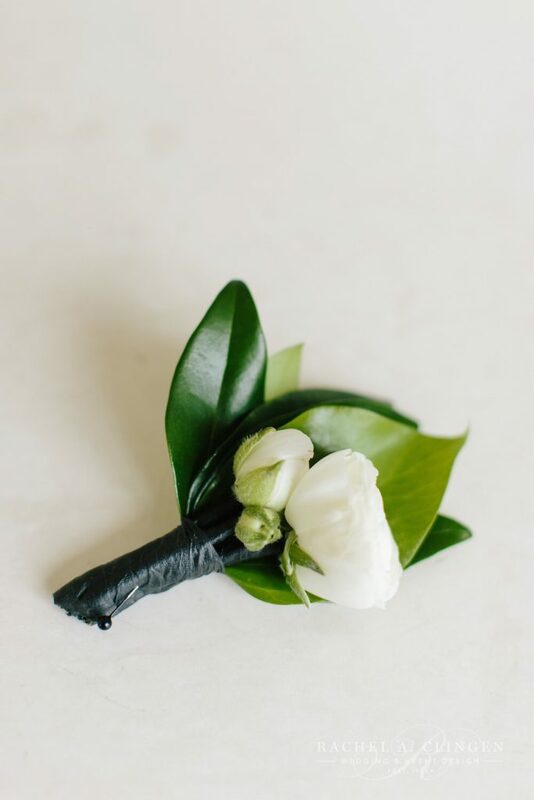 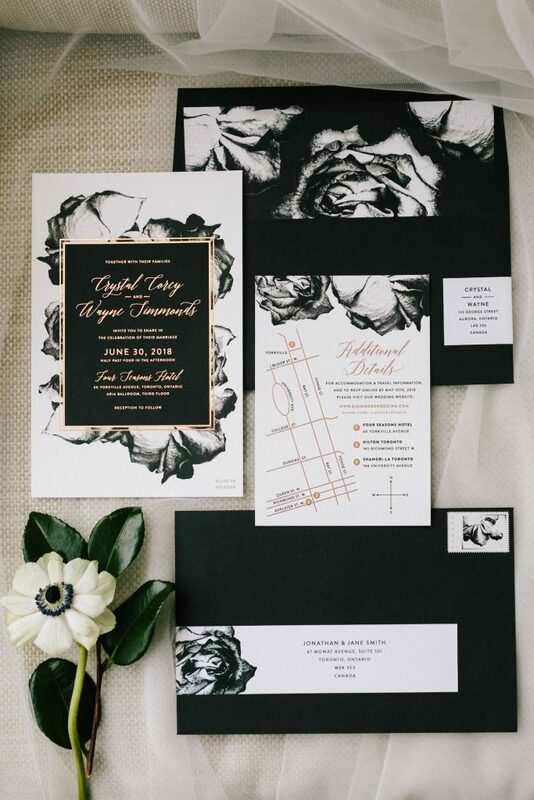 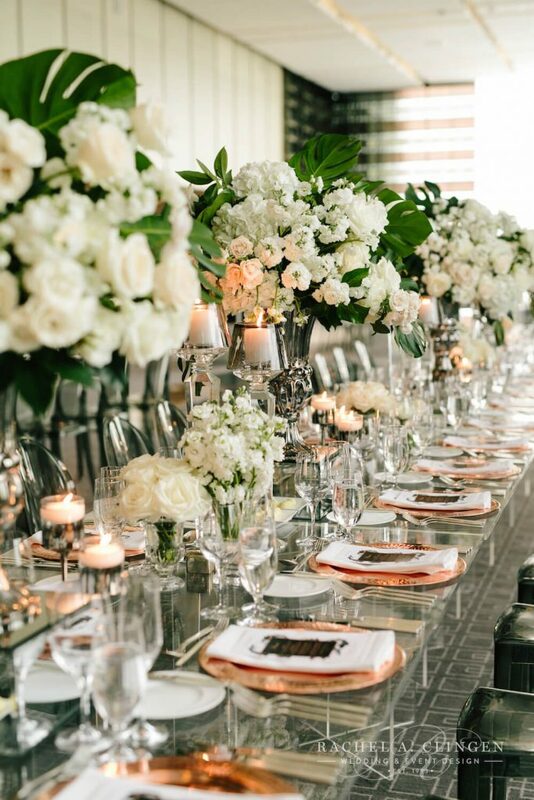 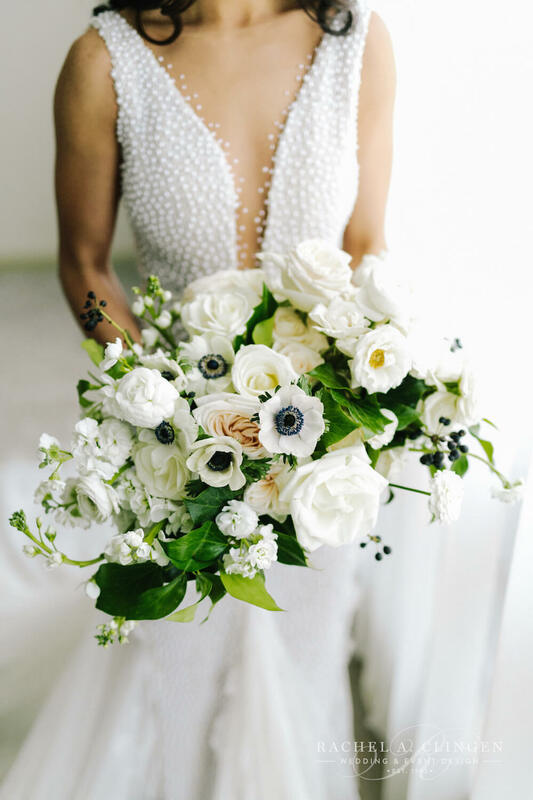 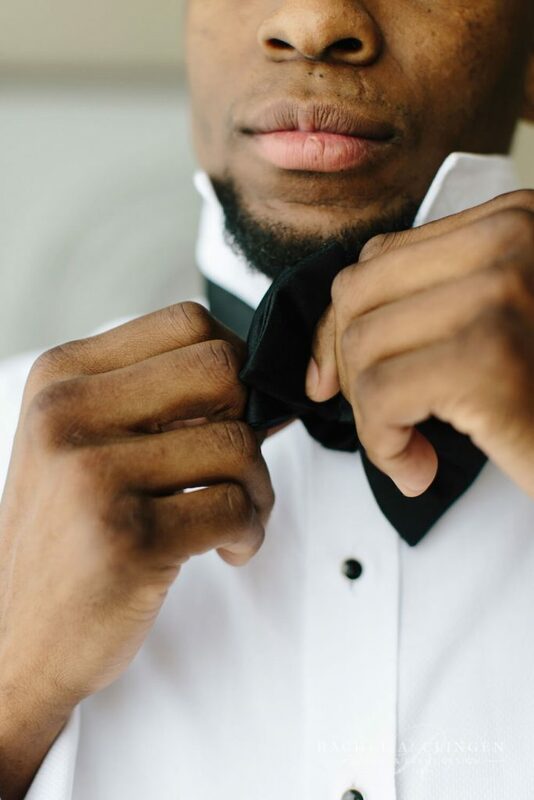 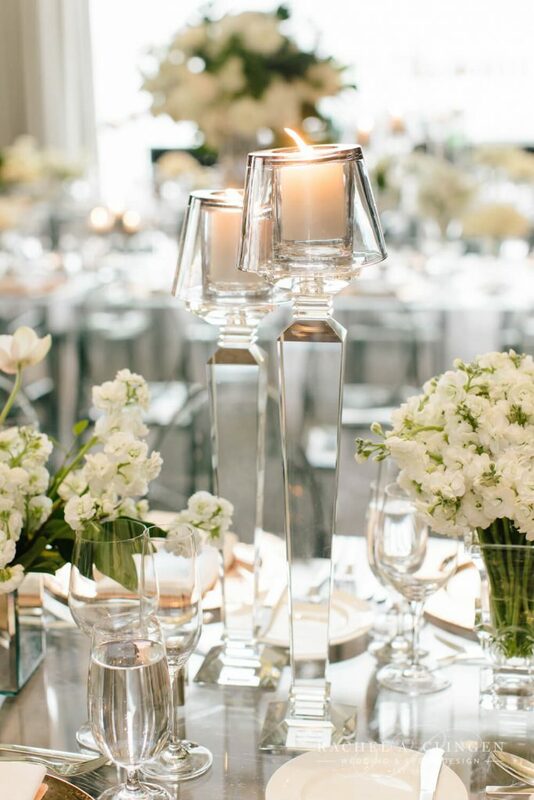 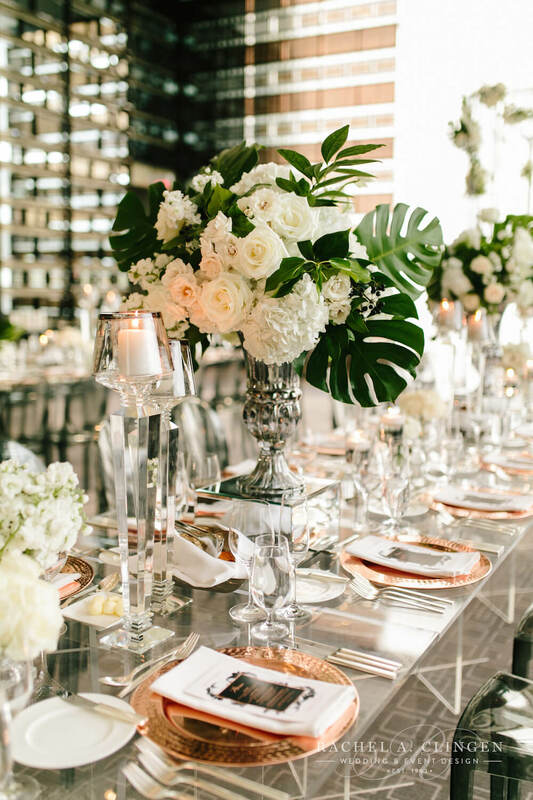 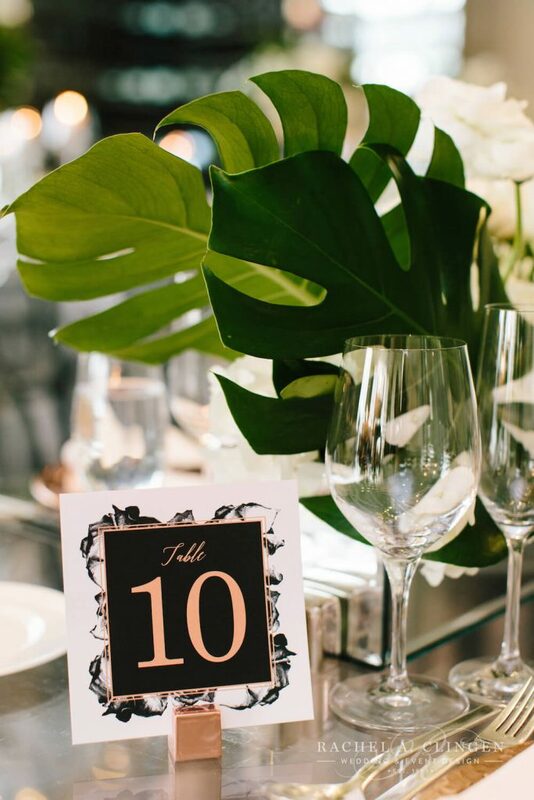 A chic black and white palette gave their wedding a edgy look while maintaining pure sophistication. 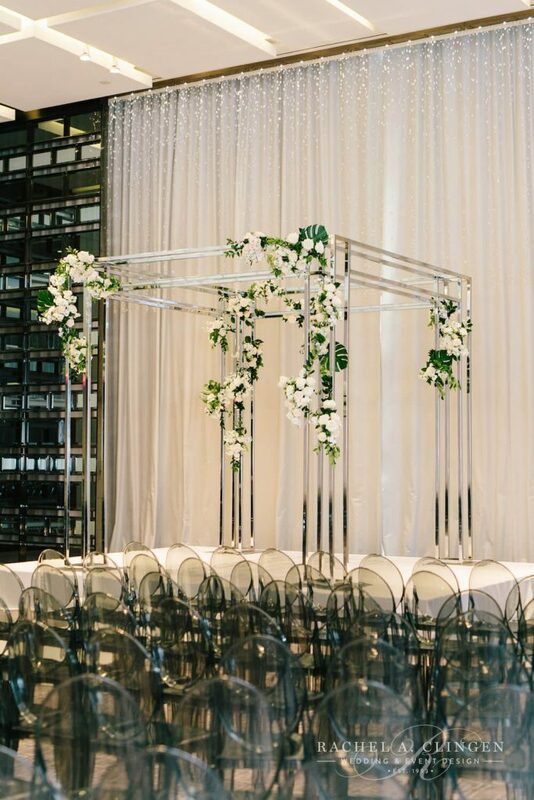 We designed a modern wedding canopy for the couple with a chrome linear structure. 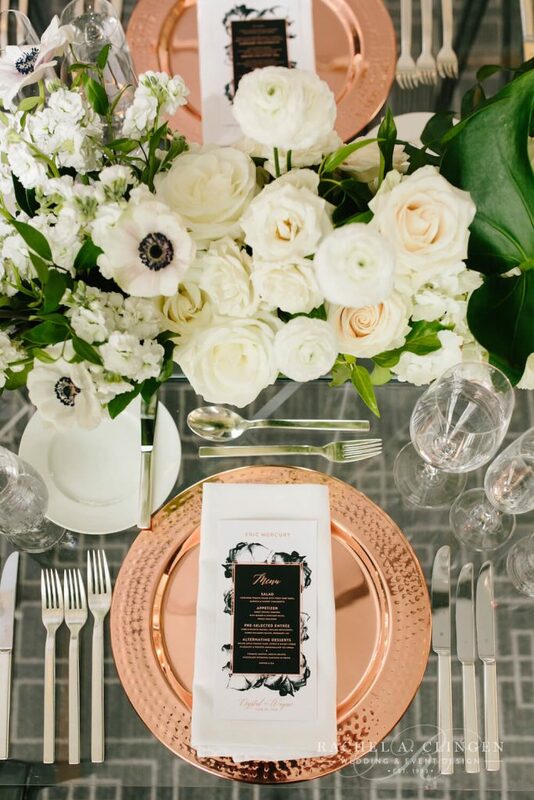 Minimalist floral groupings added a touch of elegance. 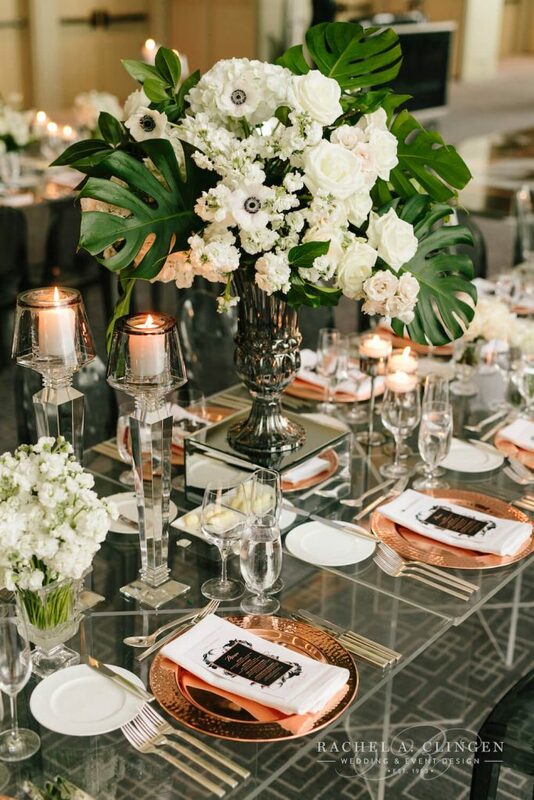 Coordinating elements of chrome and mirrored details included a custom mirror skirted head table. 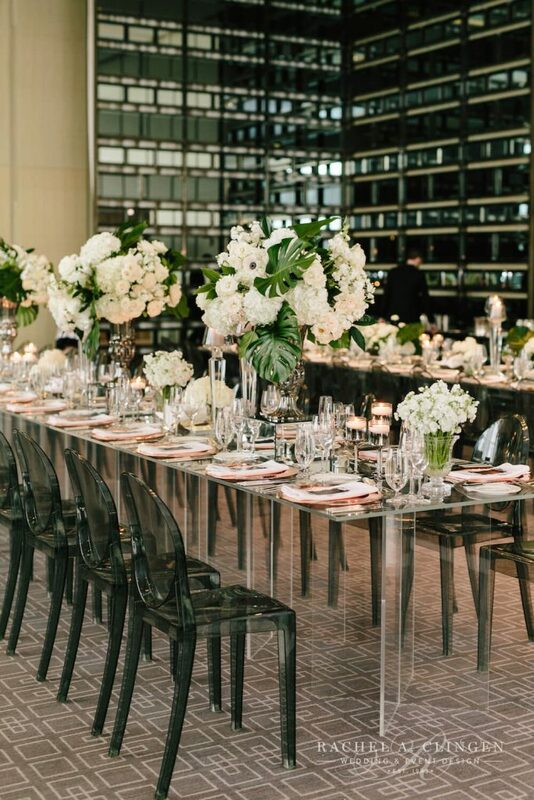 Guests dined at lucite gallery tables which were detailed with accents of rose gold, which connected closely with their custom innovations. 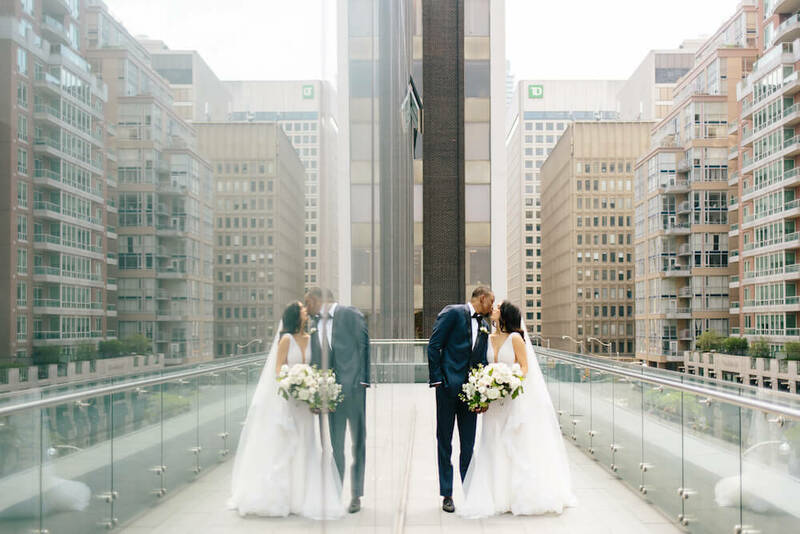 It was a special day working along side wedding planner Laura from Laura & Co. Events as well as the whole Four Seasons Toronto team. 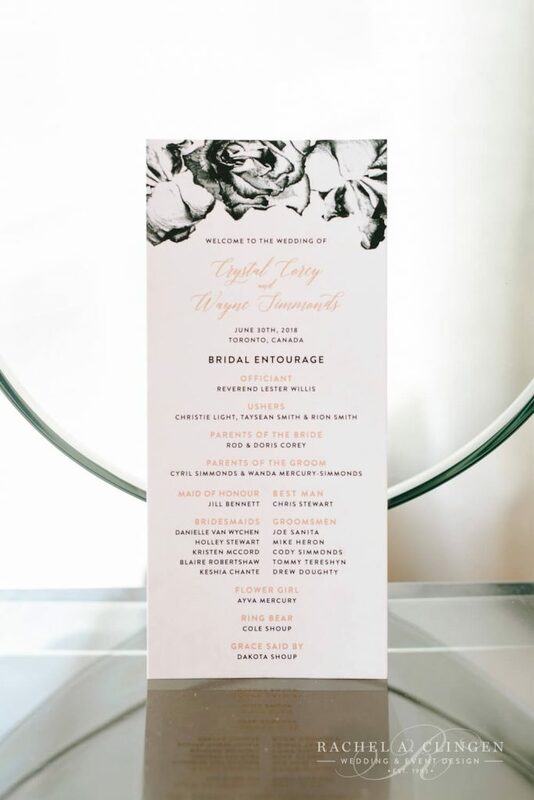 For full list of vendors scroll to bottom.